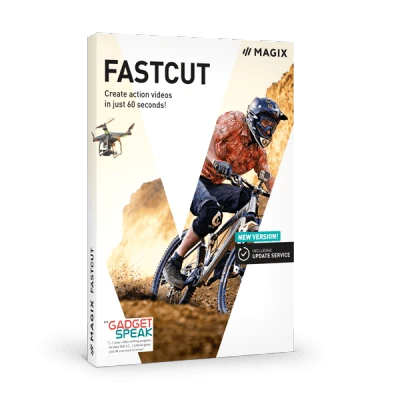 Download MAGIX Fastcut free and create action videos that will impress everyone. With this video editing software you will be able to create spectacular action scenes. Videos are easy to edit thanks to automatic optimizations, impressive editing templates and special effects. Thanks to Fastcut you will be able to concentrate on your adventures without having to worry about light, blurring or any video-setting requirements. Audio will be optimized and images stabilized. Download MAGIX Fastcut now and design your adventures.